Laura White is an Australian realist artist specialising in still life and nature inspired oil paintings. Her love for both ceramics and the garden greatly influences the realist and botanical subject matters which she prefers. Practicing the ‘flemish’ techniques used by the Dutch masters, using multiple layering methods and translucent glazes, she achieves great depth and texture in her work. 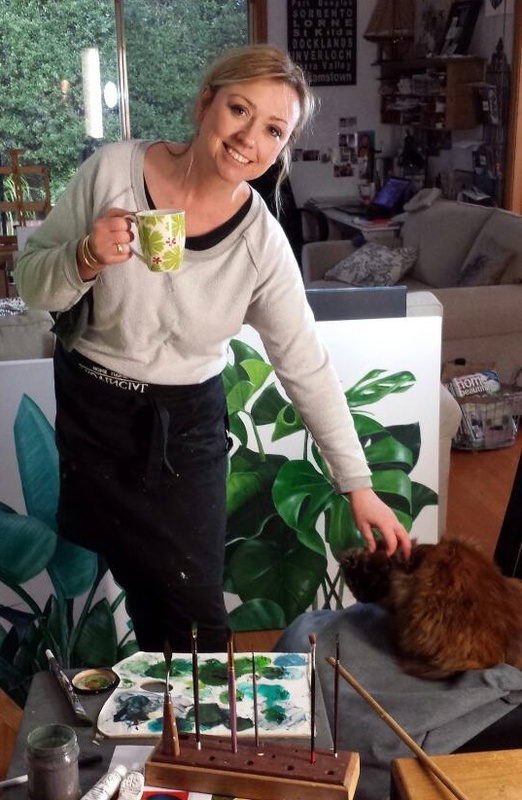 Her main motivation is to portray the inherent beauty she sees in everyday life, capturing colour, light and texture to produce artworks that speak to the senses. The carefully chosen objects are placed in composition in such a way that together they almost become one. With a background in interior design, she is constantly applying the rules of balance, tone and texture to her paintings. Application is light, the compositions are restrained, and the hours applied are many to each work. By keeping compositions relatively sparse, never overcrowding, the subjects are given breathing space which emphasises their beauty, even when the object is a ginger jar or a battered enamel pitcher. Creatively, she resists following trends and traditions, and continually experiments to perfect her unfiltered vision. Laura has been prolific in her artistic endeavours, being selected for 45 exhibitions in just 5 years since commencing to paint. She has sold extensively both domestically and overseas. Laura White is represented by 19Karen Contemporary Artspace, on the Gold Coast.